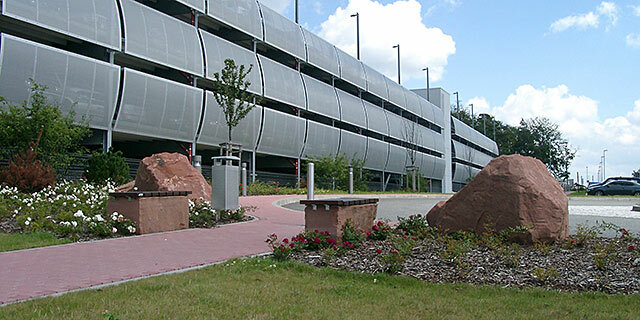 Parking structures are encouraged in land constrained locations when economically feasible. Consider near term and future electric vehicle charging stations and renewable energy generation development during the analysis and design. 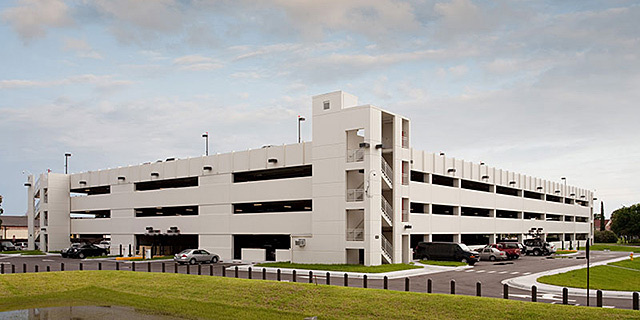 Consider opportunities for integrating parking structures into multi-use developments with pedestrian-oriented uses located on the ground floor and parking on upper levels; ensure ATFP guidelines are fully addressed. 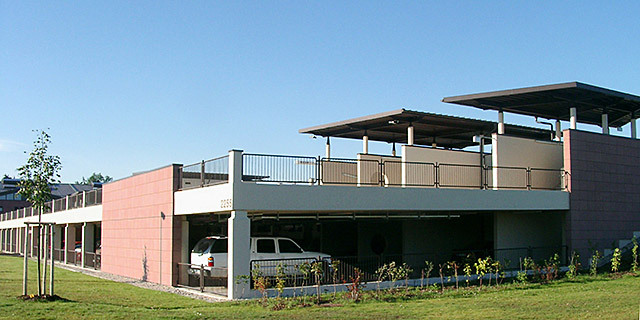 Structures may be constructed below grade with roofs serving as vegetated areas or plazas.